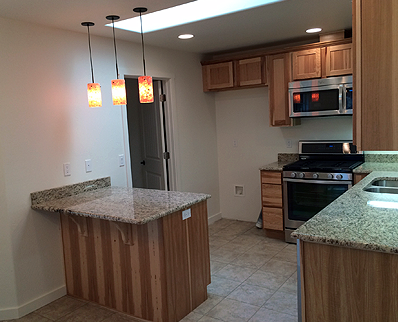 We know that you need fast, high quality electrical repairs and installations in Medford. Our team of courteous, experienced electricians will work with you to answer your questions and make sure your project gets done on time and on budget while respecting you and your home. Give us a call today at 541-245-8560 or fill out the short form by clicking here. We look forward to talking with you. Electrical service upgrades for your home can seem overwhelming. But, there are times when upgrading can go a long way toward protecting your home’s safety, value, and your time. Do you find that your home’s circuit breakers are tripping regularly? Do your lights flicker? Have you added any new home equipment recently, such as air conditioning or a hot tub? It may be time to increase your electrical service to meet the increased need. Electrical service upgrades become necessary when your home’s electrical output ability becomes overburdened. The panel is there to provide power from the utility to the various outlets, appliances, light switches, and other home items that require electricity, such as air conditioners, high-definition televisions, and computers. An under-powered panel can cause a voltage drop-off, which in turn can damage the sensitive electronics we have all come to rely on, not to mention contributing to a potential fire hazard. The standard for home electrical power needs in the past has been 60-amps. Now, 100- or 200- amps may be necessary to keep your home’s power ability balanced with its needs. If you live in an aging home, it’s especially important to stay on top of your power needs for both your safety and the value of your home. Upgrading electrical service can also add value to your home once you decide to sell. Visit our web site or send us an email to arrange a consultation.